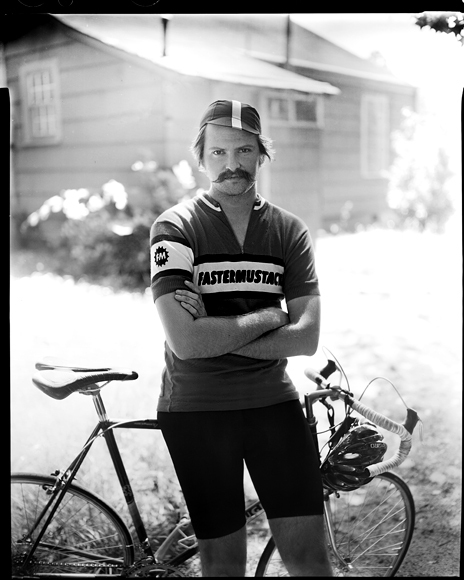 So the rest of the week will be "Alan Barton in bike gear donning a badass mustache." First up is from today (they are all from today) is him in some weird light with his bike. This shot gave me some trouble in developing but it managed to come out 98% fine. The light is really weird. I swear I didn't dodge his head to death. It's just weird light. Also in the scan I got freaking newton rings. Who wants to donate a drum scanner to a good cause? Eh? Anyone? So....three more of Alan to come. Gonna be a good week for nonsense.